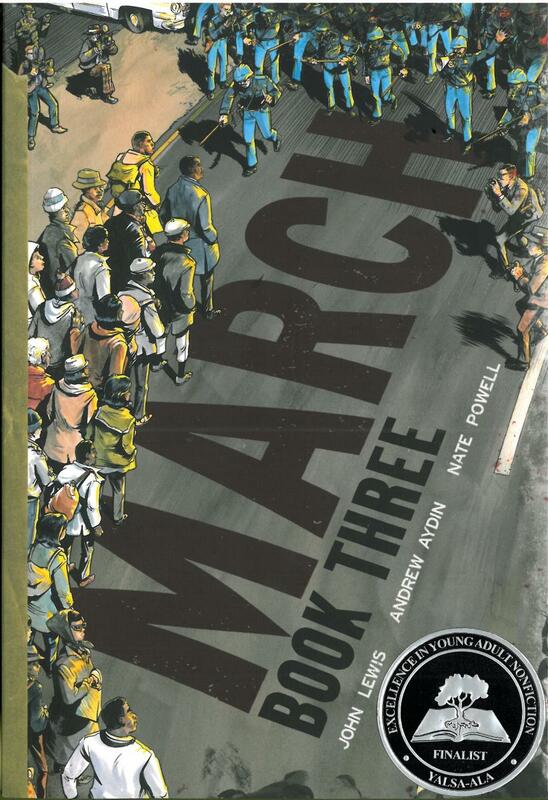 What it’s about: This is the third and final volume in the graphic memoir series tracing Representative John Lewis’ participation in the Civil Rights Movement, culminating in the Selma to Montgomery marches of 1967-known as Bloody Sunday. What made me pick it up: I read the first two installments so was planning on picking it up, but since it’s won roughly one billion awards* I scooted it to the top of my read-ASAP list. My favorite things: This final volume is reliably great in a number of ways: the black and white art is strongly affecting, the storytelling is compelling, and the content is relevant and important as ever. One of my favorite things, throughout the series, are the brief scenes from the 2009 presidential inauguration. They effectively illustrate the impact of civil rights activists’ relentless efforts and remind us of how much can be accomplished within a single generation. Who it’s great for: Teens and tweens who want to understand the Civil Rights Movement. Fans of history and memoir. Graphic novel and comic readers interested in real-life human superheroes. **See Stamped from the Beginning for my review of another National Book Award Winner.